Open Enrollment: The Perfect Time to Remind Parents about CHIP! It’s that time of year again—Open Enrollment—and Pennsylvanians everywhere are exploring their best options for health insurance. Make sure your community does not forget about Pennsylvania’s Children’s Health Insurance Program (CHIP). For the past two decades, CHIP has been providing a superior healthcare coverage for Pennsylvania’s uninsured kids up to age 19—at free or low cost. 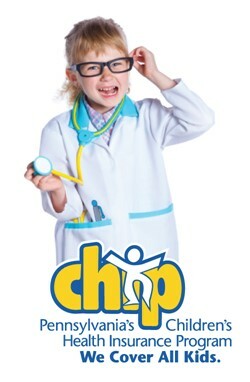 CHIP is a premier health insurance plan offering a more comprehensive coverage than other plans. CHIP helps take the burden off of health care expenses, covering Pennsylvania kids who are not eligible for, or enrolled in, Medical Assistance. It’s easy for parents to enroll. Whether their language of comfort is English or Spanish, we have the materials ready for them. When it comes to getting the word out, there’s no faster and more powerful way to share our message than on social media. If yours is a social networking community, we hope that the following messages will be shared by you through your network and website. Please also link back to CHIPcoversPAkids.com or the CHIP Call to Action button below. More Coverage. Less Cost. Choose CHIP! The #1 thing to do for your kids today. CHIP cares for PA Kids! CHIP coverage in your community. Just ask. Your children can get the vaccines they need, doctor visits when they’re sick and the medication they need to get well. They can even get dental and eye care – and eyeglasses too! Pennsylvania’s Children’s Health Insurance Program (CHIP) provides the coverage for uninsured kids in Pennsylvania up to age 19. Enroll now.